If you visit Greece on Good Friday, you may witness or participate in a tradition that has ancient roots. People light candles from a central flame at church and carefully bring home the lit candle. This flame is considered to be especially sacred and purifying and is guarded carefully until it is back home. This tradition has roots with Greek goddess Hestia. 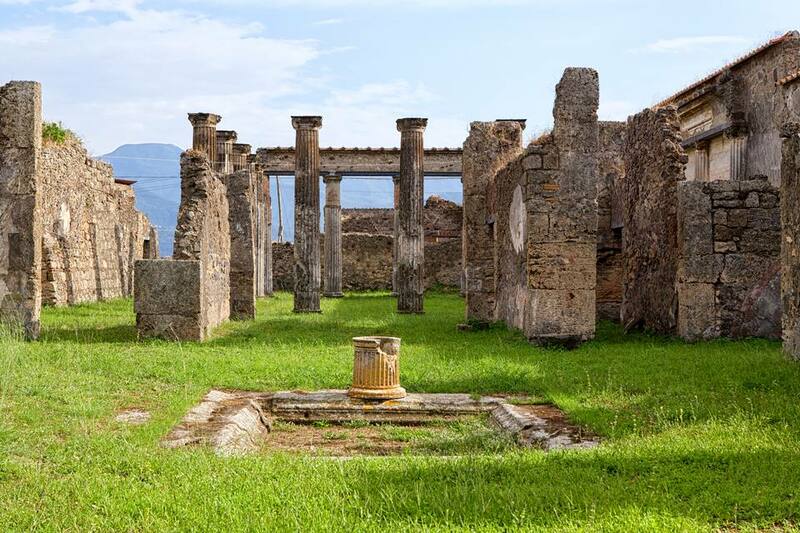 Hestia's public hearths were kept in a meeting hall building called the prytaneion (also spelled prytaneum) or bouleterion; one of her titles was Hestia Bouleia, which derives from the word for "meeting hall." She was also believed to be present at any offering fire at all other temples, so she was a truly national deity in Greece. Greek colonists would kindle fire from her hearth in the prytaneion and keep it lit in a lantern until they reached the hearths of new towns and cities or built their own hearth at their new location. There is one of these at Olympia and at Delphi, where she was also associated with the omphalos stone, marking the navel of the world. An important inscription about her comes from the Greek island of Chios and two statues of her were found in the prytaneion on the sacred island of Delos; similar statues were probably in many other Greek temples by the hearth area. Good Friday is a big deal in the Greek Orthodox Church and it's widely celebrated in Greece, something visitors will notice. Other ways it is celebrated may include drinking vinegar, boiling snails, refraining from eating the whole day and avoiding all manual work, especially work with nails. The traditions vary by location. Hestia is often skipped over by modern readers, and even in the ancient past, she was "removed" from Olympus to make room for a demi god, Ganymede, the cupbearer to the gods and a favorite of Zeus. Here's a closer look at Hestia. Hestia's appearance: A sweet, modestly dressed young woman. She often is shown wearing a veil. This is not unusual. Veils were common among ancient Greek women. Hestia's symbol or attribute: The hearth and the tamed fire that burns there. She is said to tend it faithfully. Hestia's strengths: Constant, calm, gentle, and supportive of the family and home. Her weaknesses: Cool emotionally, a little too calm, but could defend herself when necessary. Hestia's affairs and relationships: Though she was courted as a potential wife or lover by Poseidon and Apollo, Hestia, like the Greek goddess Artemis, chose to remain a virgin. She occasionally had to fend off the attacks of Priapus and other amorous creatures and divinities. Children of Hestia: Hestia had no children, which is strange from the modern perspective of a goddess of the hearth and home. But keeping the "home fires burning" was a full-time job in ancient times and letting the fire go out was considered an omen of disaster. Hestia's basic myth: Hestia is the eldest daughter of the Titans Rhea and Kronos (also spelled Chronos). Like the rest of his children, Kronos ate Hestia, but she eventually was regurgitated by him after Zeus conquered his father. She asked Zeus to let her be the goddess of the hearth, and she kept the hearth lit at Mount Olympus. Interesting facts about Hestia: Hestia was one of three goddesses immune to the influence of Aphrodite. She could not be forced to love anyone. In Rome, a similar goddess, Vesta, ruled over the group of priestesses called the Vestal Virgins whose duty it was to keep the sacred fire perpetually lit. Both her name, Hestia, and that of the god of the forge, Hephaestus, share the same initial sound which was also part of the earliest Greek word for "fireplace" and lingers still in English in the word "hearth."